NASHVILLE - Pekka Rinne is starting to regain some of his Vezina Trophy form he showed last season. 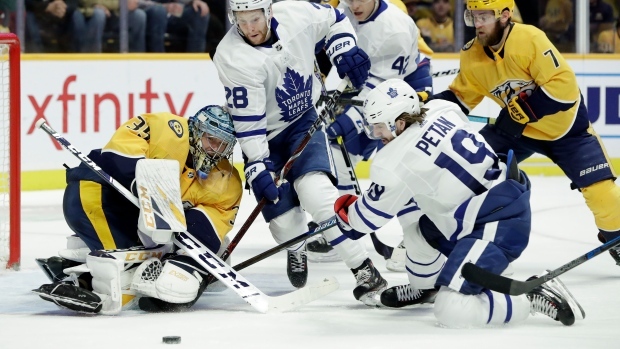 Rinne shut out Toronto for the second time this season and Brian Boyle, Wayne Simmonds and Filip Forsberg scored goals to give the Predators a 3-0 win over the slumping Maple Leafs on Tuesday night. “They're a proven playoff team and they've been playing like that for a while,” Andersen said of the Predators, who made it to the second round last season and the Stanley Cup Final in 2017.